Written on June 13th, 2011. Fully natural for less than a month. too oily, strong, weak, dead. hair and that comb’ll never come out. like I’m doing more to my hair on a regular basis than my relaxed days. looking the way I’d like. And what will happen when I start working? air dry? Will I be used to it by then? I hope so. 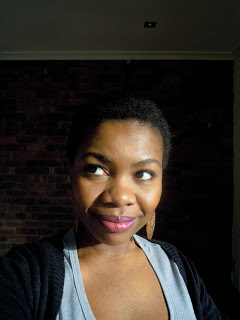 more simple regimen so that I don’t become a slave to a new hair master. Itchy scalp, slight dandruff and…a scab? !